WITH A FOCUS ON CUSTOM WORK AND DECADES OF EXPERIENCE – AT CBSF ANYTHING IS POSSIBLE. create any fixture out of almost any material. We’re expert retail environment design-builders who can create any fixture out of almost any material. WE DARE YOU TO THINK OF AN IDEA WE CAN NOT BUILD. With retail planning, a design studio, a full custom wood shop, metal fabrication shop, and acrylics, plastics, and glass shop in-house, we are capable of producing anything you may need, all under one roof. But it’s about more than custom fixtures. It’s about what thoughtful guidance, intentional strategy and design, and exceptionally well-crafted fixtures and displays can do for your business: creating emotional connections, building brand loyalty, engaging shoppers, and selling more. As one of Canada’s largest retail environment design-builders, with roots grounded in decades of manufacturing experience, we’ll make it happen for your business. 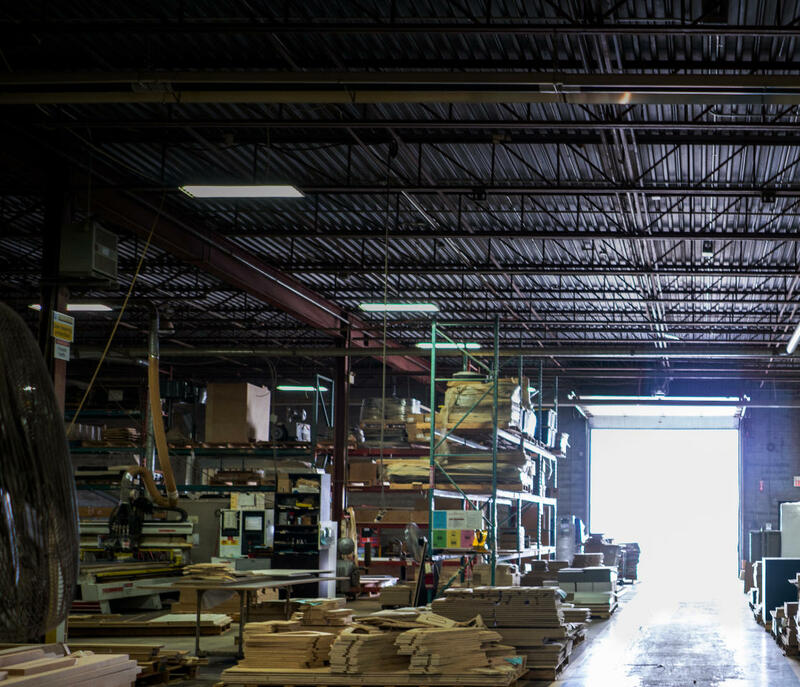 With retail planning, a design studio, a full custom wood shop (also known as a millwork), metal fabrication shop, and acrylics, plastics, and glass shop in-house, we are capable of producing anything you may need, all under one roof. HAVING ALL CAPABILITIES IN-HOUSE MEANS THAT “CUSTOM” ISN’T LIMITED TO A SINGLE MATERIAL OR SUBSTRATE - MIX, MATCH, OR DRESS UP STANDARD PRODUCTS. 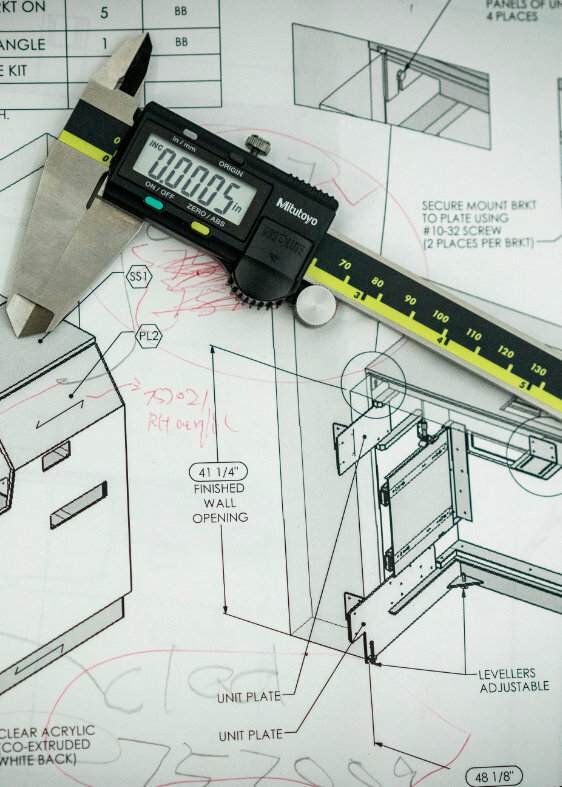 From a single fixture or an entire store, our design process is rooted in balancing your brand’s strengths, your customers’ experience, your merchandise, and your business growth plans. Wood fixtures and displays (also called millwork) are a popular option for retailers looking for lasting, natural, or reclaimed looks. We create remarkable displays, shelves, tables, counters, and so much more, all built with the highest-quality materials and craftsmanship for both design and function. Our custom metal work is based on three things: creating fixtures that will stand up to the test of time and ensuring they are absolutely stunning – all while respecting your budget. We fabricate high-quality custom metal retail displays and fixtures so you can have the strength, freedom of design, and distinctive look that only metal can provide. With the right design, detailing, and fabrication experience, acrylics, plastics, and even glass can be used to create custom display elements, specialty lighting, backings for applied vinyls and other branded graphics, and durable shelves. Whether it’s a standard shelf, standard shelf that has been dressed up, or a fully custom shelf, some form of gondola shelving makes up the core of every retail environment. We create amazingly functional and thoughtfully designed custom shelves that will give you exactly what you need and want. Custom wire products focus on two things: style and durability. Built in-house, we fabricate practical, high-quality custom wire retail displays and fixtures so you can have exactly what you want: fixtures spec’d to your specific location, merchandise, and reconfiguration needs. Be it metal or plastic, we help clients source the right carts for their needs. And for those special cases when the average cart doesn’t match the experience you want or products you sell – we’ll custom design and manufacture, or tweak standard carts, especially for your needs. WHEN WE SAY THAT OUR WORK IS IN-HOUSE WE MEAN IT. COME INTO OUR SPACE AND YOU’LL SEE WE DON’T OUTSOURCE WORK WE PROPOSE TO DO IN-HOUSE. Let’s talk what we can do for you.